I probably consume more Asian-American media than the average person, but 2018 was undoubtedly a watershed year. From Crazy Rich Asians to Searching and Patriot Act, the visibility of Asian-American stories and individuals this year was vast and affirming — while imperfect, it felt like a massive step in the “right direction.” Of course, the road to 2018 has been paved by gradual victories over the past decade: Master of None and Fresh Off the Boat in 2015, Ali Wong: Baby Cobra in 2016, and The Big Sick in 2017, and many more. And the journey is not over. Inspired by my friend Shannon’s media roundup of 2018, I wanted to highlight some of my favorites from the past year, focusing on a not-often-covered media outlet–podcasts! Like most people, I listen to podcasts while going from point A to point B, grocery shopping, washing the dishes, cooking, doing laundry — pretty much whenever I am #adulting…to distract from the fact that I am #adulting. I listen to the usual — The Daily, Up First, NPR’s Code Switch, Hidden Brain. But some of my favorite podcast episodes feature the Asian-Americans we see in high-profile media talking to one another about the art (or whatever it is) that they create — which is amazing. Because hearing Asian-Americans riff with one another and talk about their journeys off the beaten path, from behind and in front of the mic, feels like being in on some sort of secret or inside joke — affirming, inspiring, and empowering. This podcast is hosted by two comedians based out of NYC, Fumi Abe and Mic Nguyen — so, basically, it’s hilarious. One of my favorite episodes is their insanely funny conversation (interview starts at 9:27), titled “I Loved Kumon and Harvard was Fun” with Karen Chee, another comedian (only 23 years old and already published in The New Yorker, New York Times, McSweeney’s). They also have a segment called “Race News,” where they discuss news that has to do with race, a.k.a. my favorite topic, and in this particular episode, they have a great conversation with Chee on affirmative action. I’m a huge fan of David Chang, founder of Momofuku and creator of the (also released in 2018 and amazing) Netflix show Ugly Delicious, for his irreverence and authenticity. Chang has increasingly embraced openly discussing his Asian-American identity. That shows in his incredible interview with actor Steven Yeun (starts at 9:08 embedded below), which includes discussion on the Korean sentiment of “Han”, what it’s like to be an Asian-American in Asia, and how intentional Yeun is about his craft. The guests are diverse and the interviews are funny, enlightening, and entertaining. My favorites are with screenwriter/co-creator of Master of None Alan Yang, Good Girl Dinette chef Diep Tran, actress/writer/producer Lena Waithe, comedian Nick Kroll, and Milk Bar founder Christina Tosi. I’ve been listening to this podcast hosted by prolific writer Mary H.K. Choi (she wrote a cover feature on Rihanna for The Fader and other bylines include Wired, GQ, Allure, The New York Times…you get the picture) since it started in 2015. Basically, she asks people the question I always want to ask people I admire, which is: How did you get to do that job?! She interviews people who have interesting and cool jobs about how they got where they are, what they actually do for a living, and what they do for self-care: from New Yorker Writer Hua Hsu, to Creative Director Phil Chang (of Apple and Weiden + Kennedy), to War Reporter May Jeong. Mary H.K. Choi is ridiculously smart, eloquent, and pop culture-savvy in a way that I can only aspire to, so her commentary and questions during the interviews are delightfully pointed and probing. Another prominent Asian-American I admire is radio/TV personality Minya Oh, a.k.a. Miss Info. And I had no idea her sister, Julia Oh, was a film producer until I listened to Choi’s interview with both of them! The episode (embedded below) is like an awesome explosion of Korean-American female creative energy — they talk about going to Ivy League schools, the Korean-ness of Minya hearing a compliment from her mother 20 years later through her sister, Julia cleaning toilets to break into film after an established career in advertising, etc. 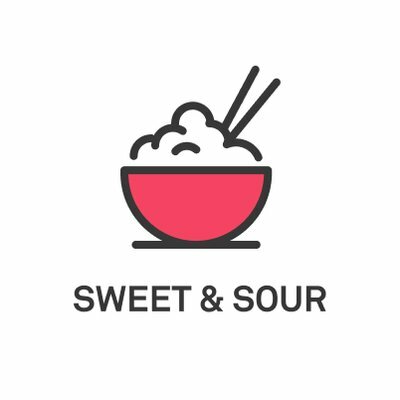 “Sweet and Sour” is a show about the intersections of Asian-American identity with culture and lifestyle. In the latest season, sisters Katie and Nicole Zhu interview entrepreneurs, comedians, designers, authors, and general all-around hustlers. “Something vital happens when we begin to see one another as the people to please, berate, critique, create, and play with. It produces delicious moments of frisson.” And one of the best art forms for capturing candid conversations is podcasting. I mean, visual media representation is great and important for visibility and all that, but podcasts broaden the stories that get told. They unveil the interior lives of not only those who are on-screen, but those behind screens, mics, pages, kitchen doors, home offices, and so much more. Subscribe to each of these on iTunes, Stitcher, or wherever you listen!